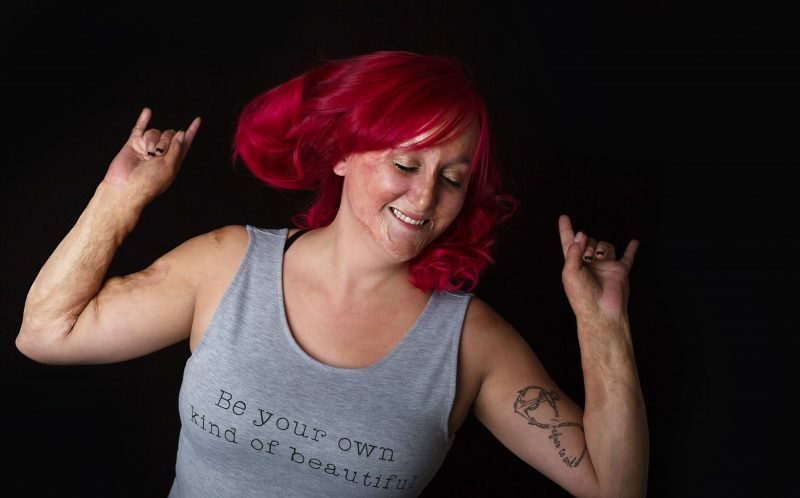 A burn survivor cruelly told she had ‘crocodile skin’ has shared an empowering video after learning to love her scars thanks to her daughter. 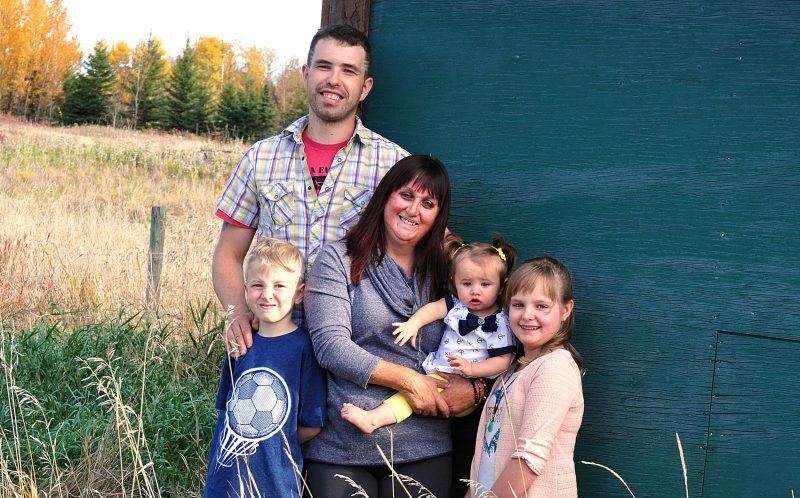 Joy Zylstra, 33, from Edmonton in Alberta, Canada, was lucky to survive the explosion caused by lighting a candle in a gas filled cabin – that left second and third degree burns over 45% of her body. 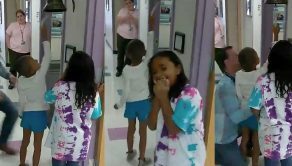 After being rushed to specialists, doctors didn’t believe the then nine-year-old would make it and kept her isolated in a warm room to prevent her body going into shock. 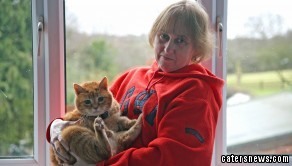 But after five weeks and four skin grafts, miraculously she was released from hospital but in the outside world she struggled to come to terms with her appearance due to bullying. She was called an array of horrid names including ‘freak’ and ‘alien’, but the worst was having her skin compared to the ‘scales of a crocodile’. For years she hated her scars, but after giving birth to her first child Ciara, now 12, she knew that to be accepted by her daughter she had to learn to love herself. Since then, she’s been on a quest to empower others, releasing a video last week (JULY 25) to commemorate her 24th burn anniversary and to encourage others to feel body positive. 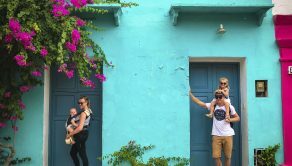 Joy, a full-time mum-of-three, said: “When I used to look in the mirror I would see ugliness, flaws and pain – now I see strength, courage and that I refused to give up. “Before it was such a sad, depressing way to live, I felt sorry for myself and eventually I had to realise there was nothing I could do to change what happened but accept it. “It was harder for a few comments, the worst was that it looked like I had ‘alligator skin’, it broke my heart hearing that, all I wanted to be was normal but knew I never could. 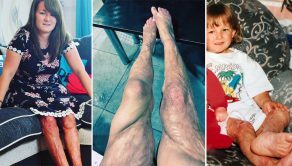 “When people said I had ‘skin like an alligator’ it was more upsetting because it was not far off, my scarring does look like scales in parts because of all the bumps. 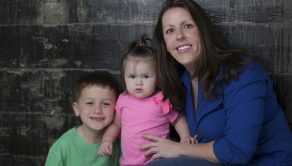 “It has taken a long time to accept myself and only happened once I became a mother, I looked at my daughter and knew I never wanted her to be ashamed of me. “I wanted to set an example by not putting such a value on looks and having such a low self-esteem, I knew if I hated how I looked and my scars, how could I expect her to accept me. “I was determined to teach her that physical appearance isn’t important so I knew I needed to work on myself to be able to teach her that. “I spent a lot of time doing positive self-talk and over time I learned to love my scars, how I look with them and have no regrets. “If I could go back in time, I wouldn’t change any part of my life even getting burned, because it’s made me who I am today and I’m proud of my scars. Joy was nine-years-old when she was burned from an accident during a family trip to relatives who lived in an isolated area of the mountains. After going into one of the cabins to play with her toys, she lit a candle but unbeknown to her the room had filled with propane gas due to a stove accidentally being left on. Joy added: “I went to light a candle and next thing I knew, I opened my eyes and could see a million sparks all over the ground, I was terrified and screamed. 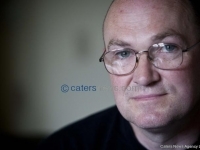 “Later while being picked up by my father, I remember seeing a big flap of skin on my left arm just hanging there, as well as the horrified look on my sisters’ faces. “While driving to the hospital my dad knew if I went into shock I could die, so kept talking to me and asking me questions to keep me awake. In hospital, it was doubted that the little girl would survive and she was kept isolated in a warm room to prevent her body from shutting down due to shock. Joy said: “At the time, my head was the size of a basketball, my arms and legs were so swollen that slits had to be made to help them reduce. 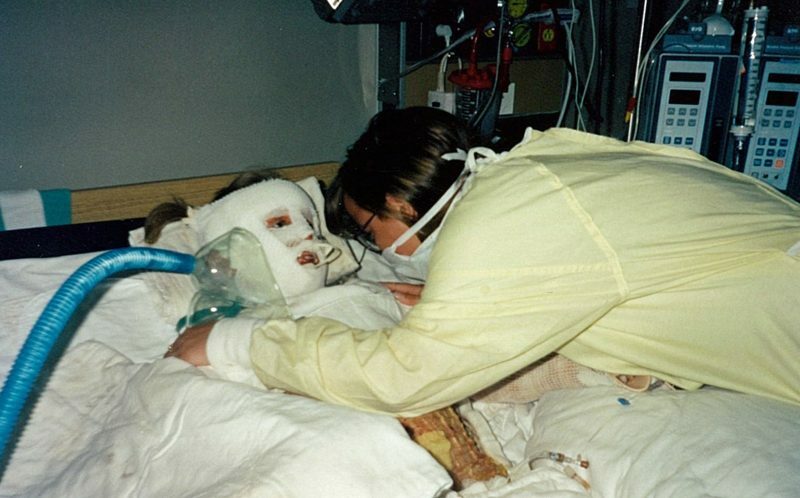 “I suffered second and third degree burns across 45% of my body, anything that wasn’t covered by clothing was affected. 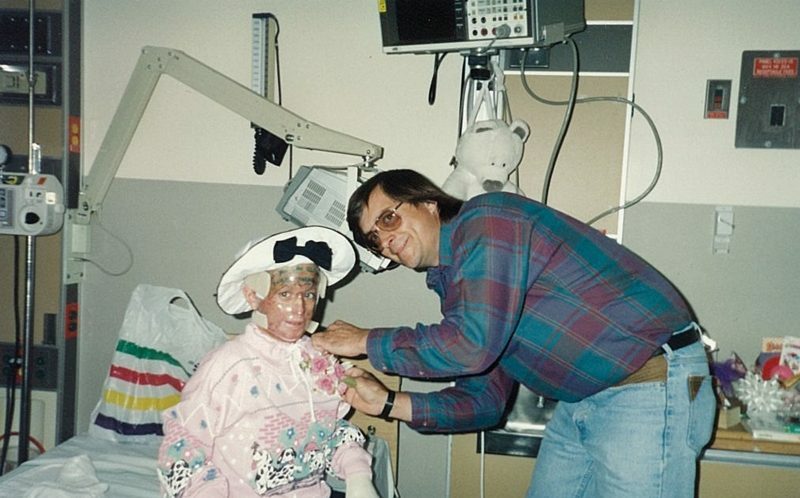 While recovering, Joy had skin grafts from her thigh, stomach and scalp to help her burned skin and was released five-months quicker than doctors predicted. But after overcoming the odds, she struggled to come to terms with her appearance, worsened by strangers stares and comments. Joy said: “One night I remember crying, scratching at my face, praying that I would wake up and my scars would be gone. “I used to go swimming to help my skin and had horrid comments from kids at the pool, one said it looked like I was dirty and another thought I was an alien. 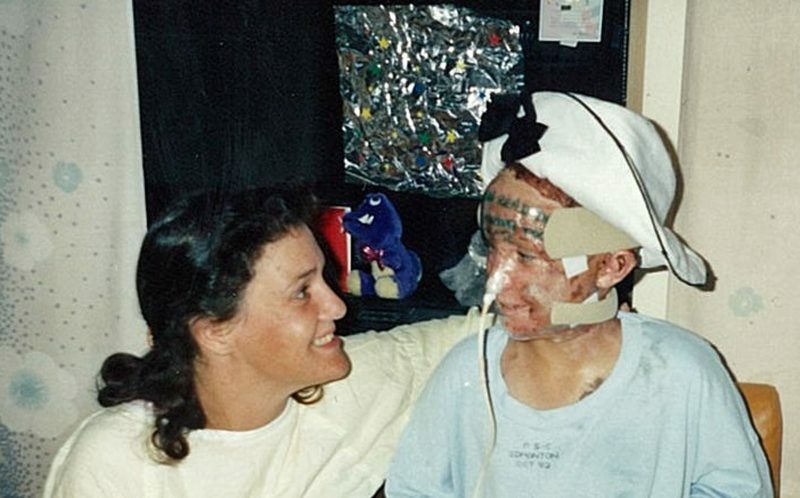 Joy found solace after becoming a mother and later started talking at schools and hospitals to raise awareness of the challenges burn survivors face. She said: “Recently I gave a presentation to my daughter’s class and throughout the whole of it she was crying, she was so proud of me and it made me really happy. 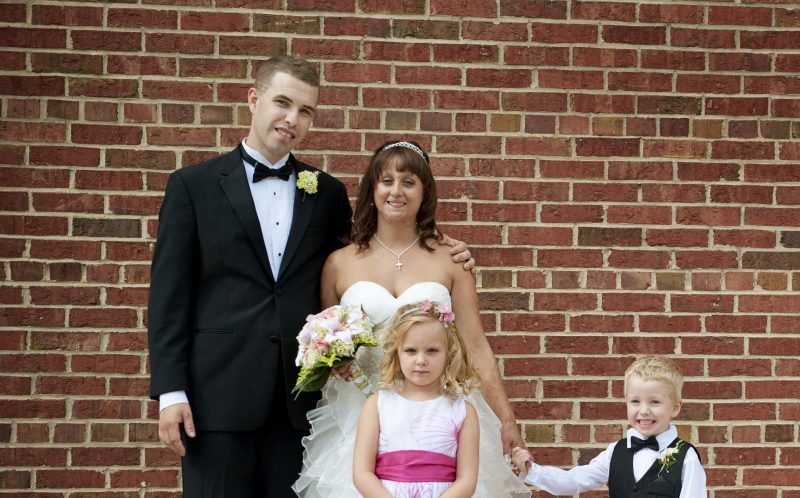 “I was always afraid my kids would be ashamed of me because I look different from their friends’ moms but it couldn’t be any further from the truth.